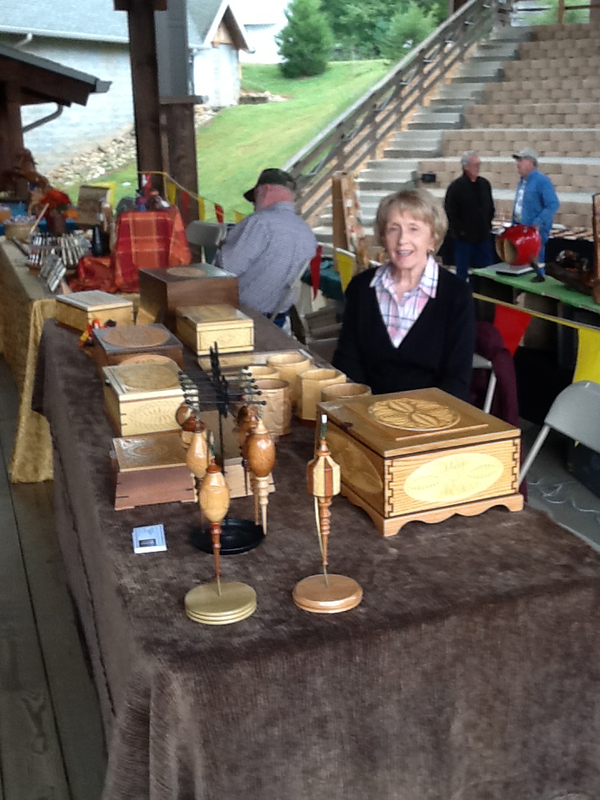 Our chip carving instructor Mickey Hudspeth has won numerous competitions for his exceptional chip carved pieces. 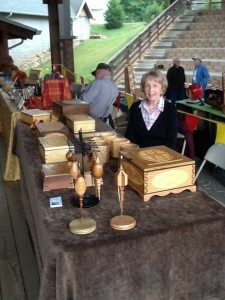 At the Smoky Mountain Wood Carving Show in Townsend, TN earlier this month, Mickey added a couple more ribbons to his collection. 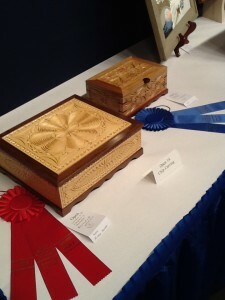 Here is a picture of Mickey’s table at the show, where his beautiful ornaments were featured. Mickey teaches a fantastic chip carving class at Highland every year – this year it is scheduled for December 2nd. CLICK HERE to find out more about this class and sign up!